I hate having to throw out fresh culinary herbs that have started to wilt and die. Unfortunately, dried herbs just don’t have the same aromatic flavor. The best way to make sure you always have fresh herbs available is to grow them yourself! A mint plant in your indoor herb garden will provide mint that is far fresher than any mint from the store, and you won’t even have to leave the house! Growing herbs indoors lets you have fresh herbs year-round and makes it simple to add flavor to your meals. It’s easier than you might think. Just follow these tips to grow your own thriving indoor herb garden. Herbs can be grown in many types of container! There are many different culinary herbs that can be used to spice up your cooking. Though fresh herbs offer many delicious possibilities, not all are well-suited for indoor growth. It is also important to take into consideration the space you have available, as well as your local climate. Here are some tips to help choose the right plant for your garden. It is important to think about the light conditions you can provide your indoor plants. Most herbs need lots of sunlight (at least 6-8 hours a day). However, some herbs need more light than others. Keep this in mind when you are choosing which plants to grow. 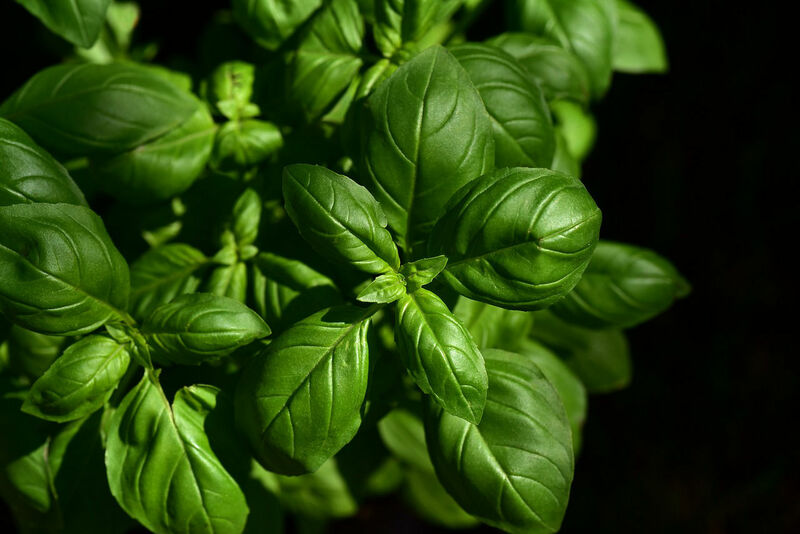 Basil is a delicious herb that likes lots of sun! South-facing windows will have the most sunlight. East and west-facing windows can provide good sunlight as well. North-facing windows do not provide enough light. If you have trouble finding spots with enough sunlight in your home or apartment, consider using a grow light. There are many options from simple work lights to complete herb garden aquaponic systems. These will all provide the light your plants need. Keep your grow light on 12-16 hours each day to maximize your plants growth. Some herbs are easier to grow than others. It is important to consider how much attention you can give your plants when choosing the herbs you will grow. Growing mint, chives, and rosemary is very easy, they will tolerate a lot. Plants like basil and thyme are often more sensitive and require more attention. The most important consideration when choosing what to grow is what you want to eat! There are many different options when it comes to culinary herbs. Here’s a list of herbs that are well suited to being grown indoors. Take a look at the specific needs of these plants here. Herbs can also be good for more than just food. Take a look at some medicinal herbs you can grow in your home garden! Some herbs can even be used to treat anxiety! Oregano is another delicious herb that can be grown inside. When starting an herb garden there are many considerations to keep in mind. Starting with the best supplies for your herbs will ensure success. 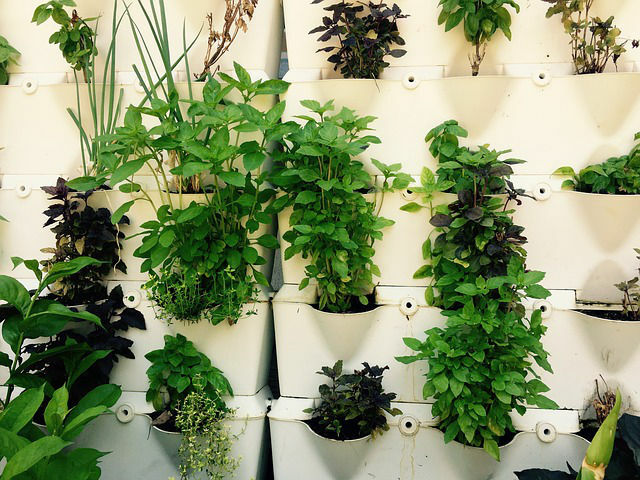 There are many options when it comes to housing your herbs. Here are a few tips to keep in mind when choosing. It is essential that whatever container you use has drainage holes. Ceramic pots hold more water than clay and can help increase humidity. A saucer or dish is essential to protect your furniture. Choose a pot of an appropriate size for your plant. Their roots need space to grow! Choosing the right soil is essential to growing healthy herbs. The soil provides the plants foundation, nutrient and water. Considering this it’s no wonder that your soil choice can make or break an herb garden. Indoor herbs should be grown in well-draining, moisture holding soils. A potting mix will provide all the essential elements of a good soil. If you want to mix your own potting soil, a combination of cocoa peat or peat moss, perlite, vermiculite, and coarse sand will do the trick. Mixing your own soil not only saves money, but allows you to adjust the ratio for the needs of different herbs. An easy mistake to make is to crowd all your herbs into a dark green bush in the window. Though a dense garden of herbs is great, overcrowding your plants can cause them harm. Space your herbs so that the air between them does not become stagnant. If your herbs are too crowded they will use all the CO2 available and be unable to get new air. In addition it is important that each herb has its own pot to live in. Combining plants in a single pot can cause them to compete for the limited space and resources. In addition is is far harder to re-pot plants that have tangled roots. 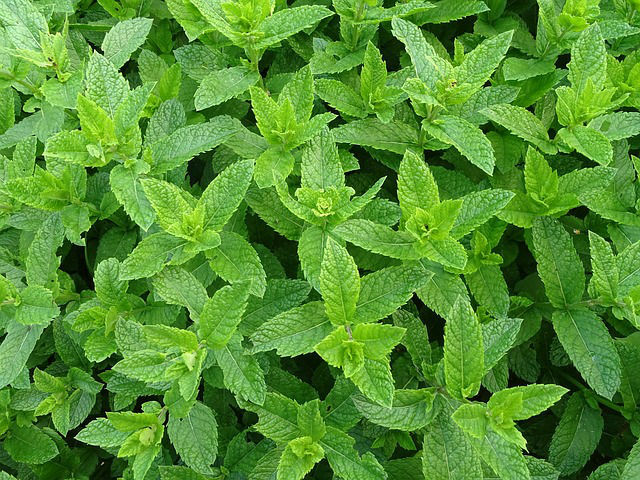 Mint is an easy plant to keep happy. Water is essential for all plants. Despite this it is actually quite easy to overwater your herbs. You should water your herbs once every 3 or 4 days or when the top two inches of soil feel dry. Excessive water can cause the roots to rot. As you move away from the coast and up in elevation, the air becomes drier. This difference in climate is important to plants. Though a low-humidity environment won’t keep you from growing herbs, it can make some plants far more high-maintenance. Choosing plants that are well-suited to your climate will help your indoor herb garden succeed. Finally, all plants need fertilizer to continue to grow. Provide your plants with a feeding of fertilizer around once a month. Fertilizing can cause the buildup of salts. To avoid this, it is a good idea to flush your potted plants. Water them thoroughly in the sink and allow them to completely drain. This will ensure that your plants stay healthy and strong. Now that you’ve grown a beautiful bounty it might be tempting to reap the whole harvest. However, carefully picking your herbs will allow the plant to live on and continue to provide fresh herbs for many years. When harvesting a potted herb, be careful not to remove more than one quarter of the leaves or stems. Removing more will make it difficult for the plant to grow back. This is just a rule of thumb, and you may need to adjust depending on how healthy and bushy your plant is. 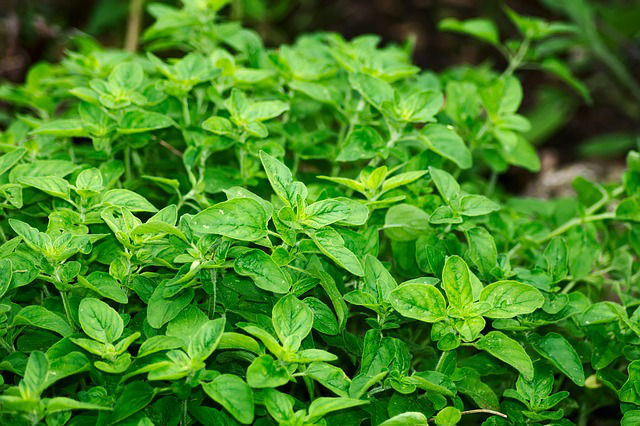 When harvesting your herbs, try to pinch off the tops of stems, right above a pair of leaves. Doing so will help your plant grow more branches and become bushier. Keeping an indoor herb garden is a great way to grow useful houseplants. If you follow these tips to grow an indoor herb garden you can be cooking delicious, freshly-spiced meals in no time!